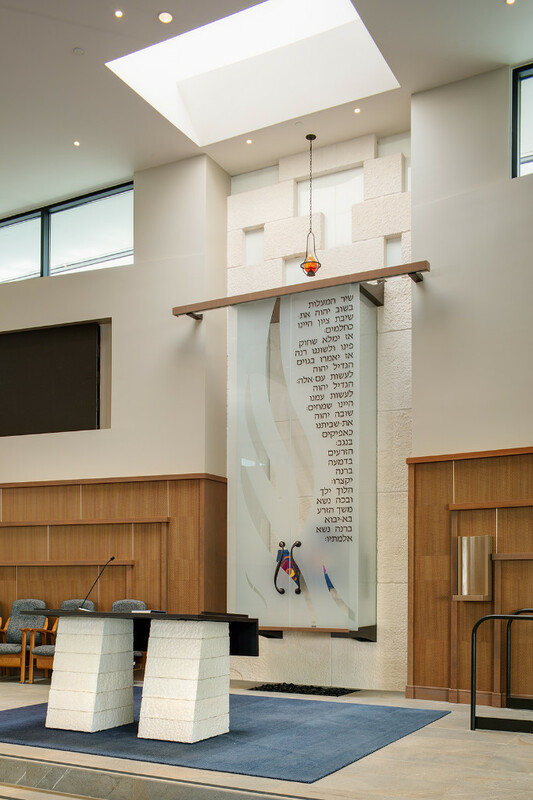 In 1994, Congregation Shir Ha-Ma’Alot moved into their existing two-story, 27,200 square-foot building, a remodeled 24 Hour Fitness facility. 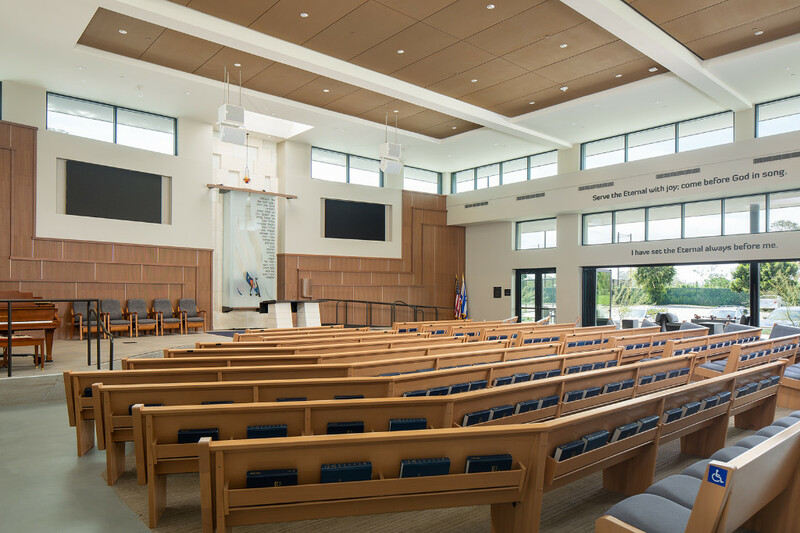 The structure included a 2,375 square-foot main sanctuary, social hall, classrooms, and administrative uses. 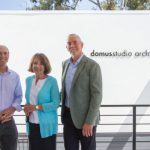 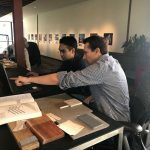 In 2015, domusstudio architecture assisted them in a Master Plan to renovate and expand the existing building to meet the growing needs of its congregation. 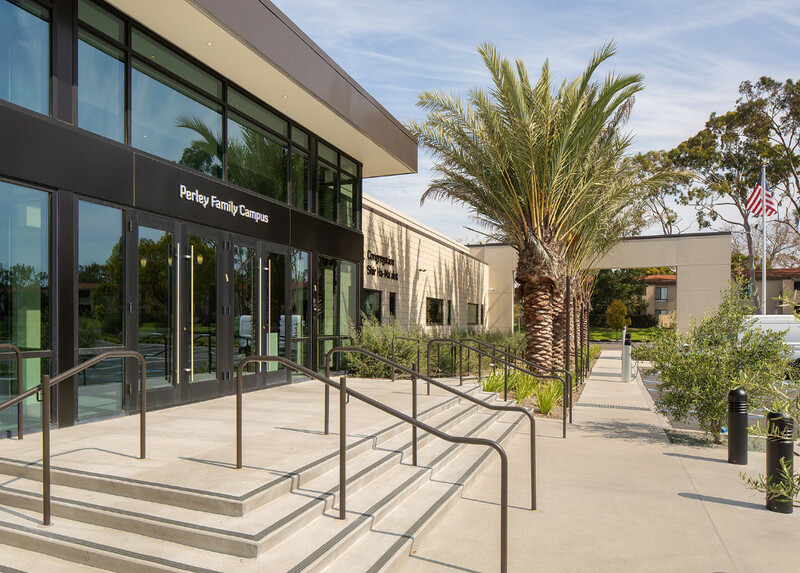 The overarching goal was to provide a ‘sanctuary for their congregation’ when they entered the campus. 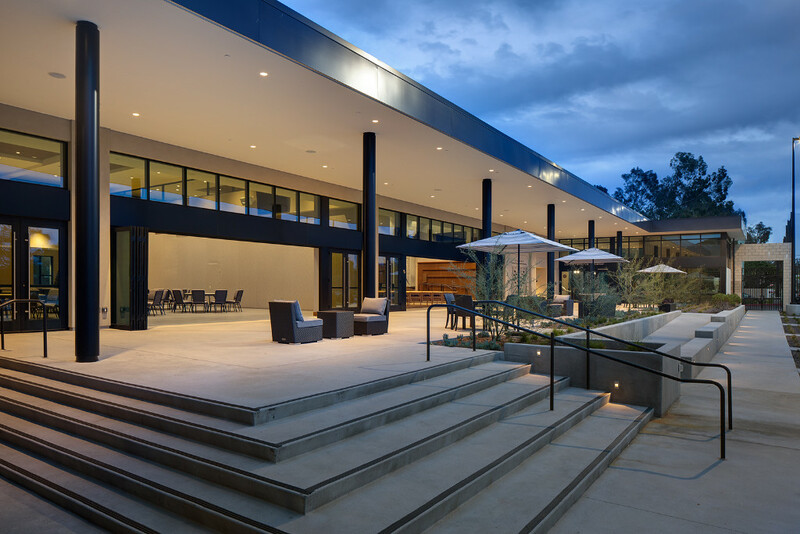 The site plan was completely reconfigured to create a layout more conducive to current operations. 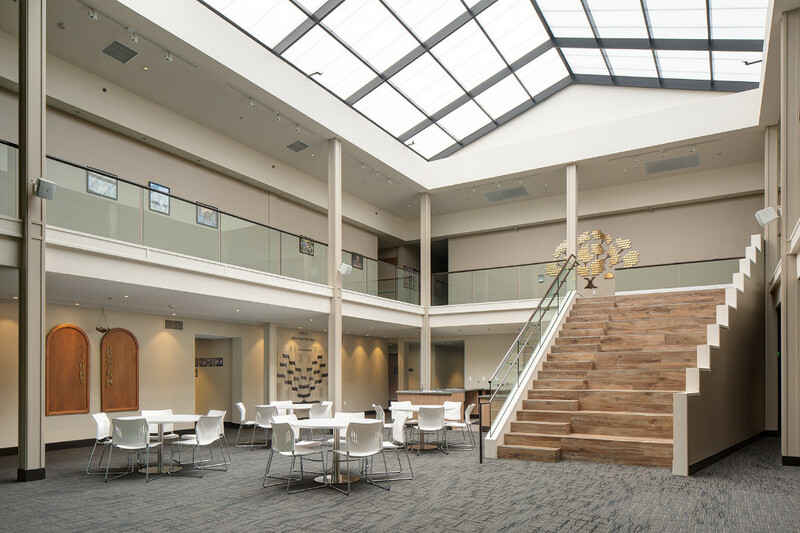 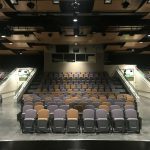 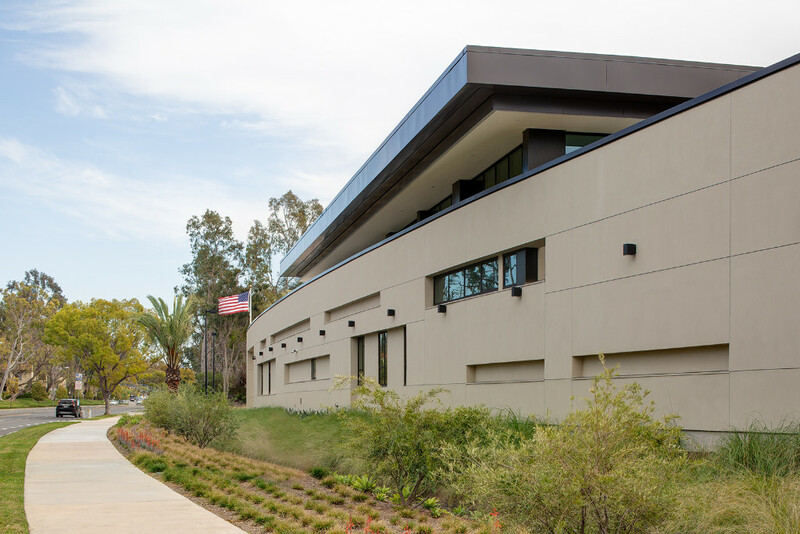 The newly constructed one-story 12,400 square feet building addition includes new administrative offices, approximately 2,800 square feet of worship space with 250 fixed seats, expandable into the adjacent 3,900 square feet social hall for larger events. 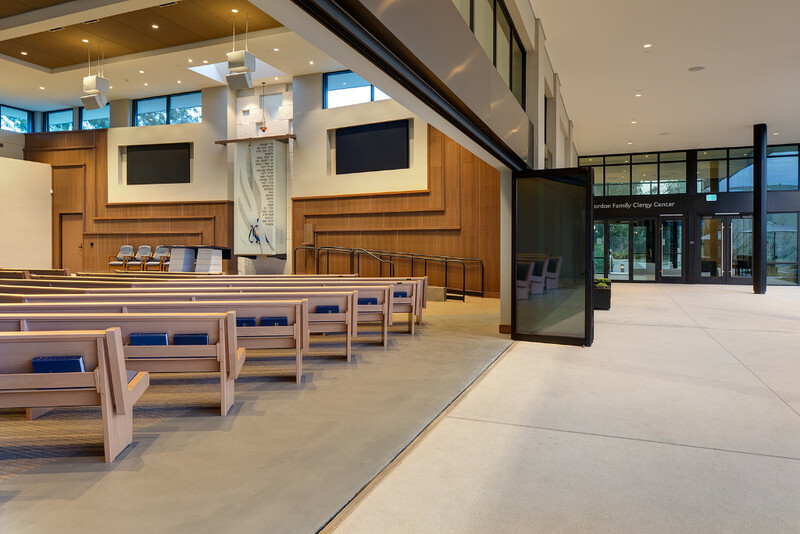 The Sanctuary and Social Hall would open out to a new covered Gallery and beyond to a new outdoor courtyard, with operable glass walls, allowing for additional expansion of large events and providing an immediate relationship between indoor and outdoor space. 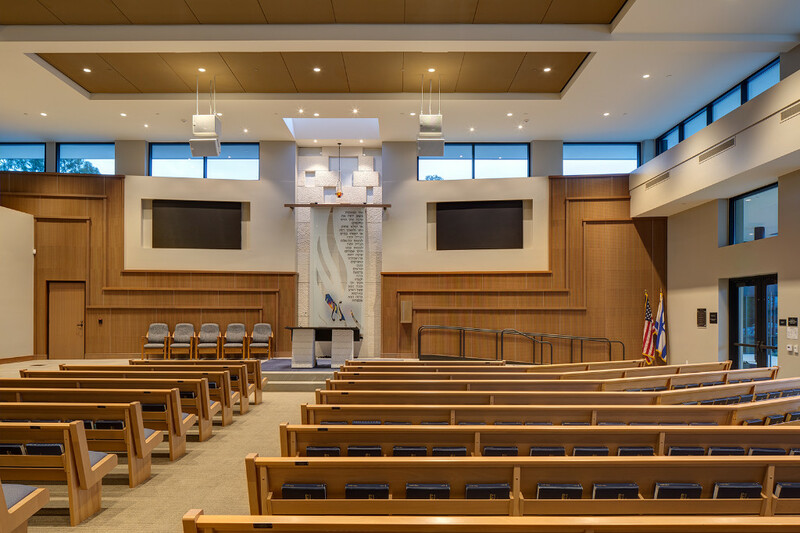 The existing two-story building was renovated to house their educational programs and Hebrew School, to include Classrooms, Offices, and a new 935 square-foot Chapel (occupying a portion of their original Sanctuary space), to be used for specialized services (e.g., bar/bat mitzvahs, and small service events). 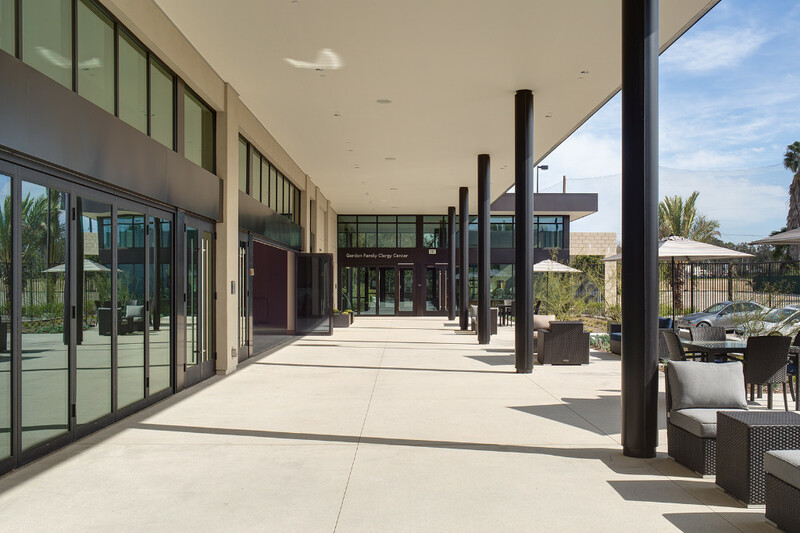 Associated site improvements included open and secured parking with EV charging stations, youth play areas, and a future Biblical garden.